In 1812, in order to keep his stranglehold on Europe, Napoleon had no choice but to declare war on the Russian emperor, Alexander. After three months of marching, his men, starved and exhausted, finally made it to Moscow... only to discover that the city had been deserted. Thus Napoleon and his army took up residence in the Russian capital without even the slightest resistance. But by nightfall, Moscow was on fire. 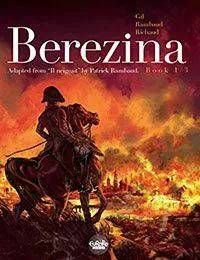 Houses, churches and even the Kremlin were ablaze, and the entire French army risked being reduced to ashes. Caught in the trap, Napoleon was forced to leave the city and get back on the road to face his enemy.